I was happy to see Steve recently reference Norm Charlton’s contributions as a starter during Cincinnati’s 1990 World Championship season. 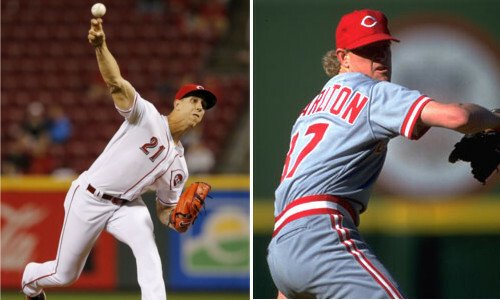 Twenty-seven years later, most Reds fans remember Charlton as a Nasty Boy, a hard-throwing setup man (and occasional Mike Scioscia bulldozer) who set the stage commendably for his fellow Nasties Rob Dibble and Randy Myers. While researching a piece that will appear here next week, however, I was reminded that Charlton played a huge role in the success of the Reds in a different capacity during the second half of the 1990 season. When Jose Rijo went on the 15-day disabled list on June 29 of that year, Cincinnati needed to fill a slot in its starting rotation. Initially, the team turned to Scott Scudder, who started two games in May while Danny Jackson was briefly sidelined with an injury. Scudder’s first start in Jackson’s stead was a good one Ã¢â‚¬â€œ he threw 7 1/3 innings of five-hit ball in a May 6 victory over the Cardinals Ã¢â‚¬â€œ but his second was far uglier, as he was pulled against the Cubs on May 11 after just 2/3 of an inning, during which he gave up three home runs. The script was similar during Scudder’s next start on July 4, when he took Rijo’s spot in the rotation against Montreal. After retiring the first batter, the next six Expos reached base before Scudder was yanked. Due to the timing of the All-Star break, he did not pitch again until the second half. At that point, the Reds got creative. As a 25-year-old rookie, Charlton started 10 games for the Reds over the final six weeks of the 1988 season, going 4-5 with a 3.96 ERA. The following year, he made the team out of spring training but was used as a reliever instead. Charlton flourished in the bullpen that season, going 8-3 with a 2.93 ERA. In 95 1/3 innings over 69 games, he struck out 98 batters and had the lowest WHIP, FIP and H/9 of his entire tenure with Cincinnati. During the first half of 1990, Charlton appeared in 38 games out of the bullpen, going 6-3 with a 2.98 ERA and 56 strikeouts over 48 1/3 innings. He then threw another 1 1/3 innings during the team’s second-half opener on July 12. Just three days later, however, he was back on the mound as a starter. There was no extended period of Ã¢â‚¬Å“stretching out,Ã¢â‚¬Â no quick trip to the minors to make sure he could handle a heavier workload. Charlton was simply asked to remember (and subsequently do) what he did two years prior. Against the Mets on July 15, Charlton pitched six shutout innings, giving up just two hits in the process. It was the first of an improbable and remarkable 12 consecutive quality starts, during which he went 6-3 with a 1.94 ERA. (Needless to say, he remained in the rotation after Rijo’s return, although he was used exclusively as a reliever during the postseason.) He came back to Earth a bit during his final four starts (Ã¢â‚¬Å“onlyÃ¢â‚¬Â two of which were quality), but overall, to say that the Charlton-as-a-starter experiment in 1990 was a success is an extreme understatement. The Ã¢â‚¬Å“JackÃ¢â‚¬Â to whom Jocketty was referring was light-hitting backup infielder Jack Hannahan, who himself was injured at the time. It was a clear sign that the cavalry would not be coming, and indeed, the Reds fell apart completely in the second half, during which the team won just 25 of 67Ã‚Â Ã¢â‚¬â€œ yet another example of a season in which they started hot and ended ice-cold. 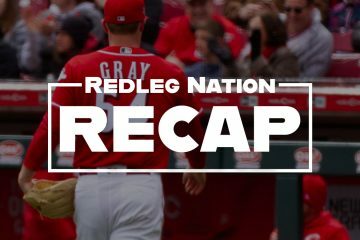 Three years later, the Reds Ã¢â‚¬â€œ who were supposed to be in the throes of yet another rebuilding season Ã¢â‚¬â€œ again got off to an unexpected hot start. Although our expectations as fans were tempered, it was impossible not to fantasize about how good the team might be if only they had another reliable starting pitcher or two. Accordingly, we eagerly anticipated the returns of Homer Bailey and Brandon Finnegan, for against all odds, the team was only eight games back when Bailey was activated from the DL on June 24. Over the next 48 hours or so, however, it became clear once again that the cavalry would not be coming Ã¢â‚¬â€œ or at least, not in the form of Bailey or Finnegan. Meanwhile, Sal Romano just became the latest Louisville Bat who was asked to temporarily stop the bleeding as the Reds limp to the All-Star break. If this season is truly a lost cause, though, why not try anything and everything? In other words, if the results of this year’s games don’t matter, what’s the point of having an arsenal of strong bullpen arms who close out meaningless victories? Unless there’s a genuine concern of injury, why not consider Michael Lorenzen Ã¢â‚¬â€œ or, for that matter, Tony Cingrani, Raisel Iglesias or any other current Reds reliever who has started in the past Ã¢â‚¬â€œ as an option whenever the team next needs someone to bridge a gap? Sure, Bryan Price might have one less tool at his disposal in the short term as Lorenzen (or whomever) gets stretched out, but if the Reds drop a game in the meantime that they might have otherwise won, what’s the harm? To be clear, I’m not suggesting that a pitcher who’s used to relieving be thrown into the deep end and asked to swim on three days’ rest, as Charlton was. Just as no starting pitcher will likely ever again throw 200 pitches, I realize it’s a different era now, and I’m in favor of whatever path of preparation is least likely to shorten a pitcher’s career. I’m also well aware that for every Norm Charlton, there are two (or more) Randy Myers or Danny Graves examples who didn’t cut it as starters. Still, it’s one thing not to know what you’ve got until it’s gone. It’s another thing entirely not to know what you’ve got, period. We’ve already seen the team squander its chance of seeing what Aroldis Chapman could accomplish as a starter. Why wait until next March to give Lorenzen and others that opportunity? Until the Reds make a more concerted effort to see what their current major league pitchers are truly capable of, they’ll remain mired in purgatory, and the Louisville Shuffle will continue indefinitely. If the Reds took the same approach in 1990, perhaps they’d be flying one fewer championship banner today. Obviously, I love everything about this post. I think Finnegan should go to the bullpen from ST next year. Chris Welsh made the observation that with the emergence of Ariel Hernandez in the bullpen….Lorenzen could transition into a starters role. He’s thrown 44 innings so far and he could certainly stretch things out over the break and go 5 innings by late July. If he got 12 starts and threw an additional 65 -70 innings…he would be ready for 2018. If he can be pitch-efficient, I could see Lorenzen going 5 right away or at least by his second outing as a starter. A 25-30 pitch inning or two will nix that though. Does Ariel’s emergence make Iglesias expendable? Personally, I think all closers are expendable. Don’t get me wrong — it’s exciting to have someone like Iglesias or Chapman at your disposal, but I’d much rather allocate the big money that goes toward closers (who are the baseball equivalent of luxury cars) toward a front-line starter or a player who can help you win every game rather someone who on average throws fewer than one inning of every other game (and games in which you’re typically already ahead, no less). Jimmy Herget and Zach Weiss are close as well, both good reliever prospects. The Reds would seem to have plenty of bullpen help. Still can’t figure out why Lorenzen, a 25-year-old with 4-5 pitches (started throwing the curve more recently as a 5th) wouldn’t get a chance to compete for a spot. Command is my only concern, and he’s shown enough in stretches to make me think he can figure it out. In terms of stretching out, Lorenzen’s thrown as many as 46 pitches this season in a three-inning stint. You could easily have him pitch three or four innings and bring in Adelman to cover another three. Then, you up Lorenzen’s pitch count by 15-25 pitches next start and do the same thing until he’s stretched out. No need to send him down or anything. With the way the Reds are shipping and receiving relievers to and from the minors, they can always call up new guys during the transition if they need to so being shorthanded wouldn’t be a problem. One of the points I was hoping to make (which I apologize for not expressing better) is that I wish the Reds weren’t so stuck on titles — “starter,” “reliever,” etc. I think a rebuilding year provides a perfect platform to experiment with utility pitchers who aren’t assigned specific roles, much like the concept of a utility player. That said, I don’t think Finnegan (or any Reds P, for that matter) should be asked to do anything but pitch as well as they can in whatever role they’re asked to pitch in. In other words, let everyone compete and consider all possible options before deciding who goes where. Did Lorenzen have shoulder problems a couple years ago when he was starting. If so, it seems that his shoulder problems are behind him as a reliever. Maybe the Red’s medical staff know something about his health that us steely-eyed fans don’t? I’d believe that if the Reds hadn’t repeatedly stated that health wasn’t a concern for them in terms of Lorenzen starting (multiple Enquirer articles). They were forthcoming in saying that Iglesias’ health issues would keep him in the bullpen but have reiterated that they believe Lorenzen can handle a starter’s workload. They could easily say fear he will injure his elbow again, which would be an easy way out of it and yet, they haven’t done it. It appears health really isn’t a concern for the Reds. When Price was asked in an interview in April about Lorenzen starting at some point this year he said not this year but he would get his chance eventually. I am still hoping they re-think waiting until next year to give him a shot. The longer the season goes and the more pitchers get called up and sent back down, the stranger it seems that they’re not at least trying Lorenzen, who they clearly see as capable of consistently getting big-league hitters out, unless there’s some sort of health concern they’re not advertising. Call me crazy, but I think Sal Romano profiles as a future closer, not starter. It’s certainly an attractive fallback option. Yes, that fastball/slider combination is legit. Somebody has got to be a starter. I would like to see Sal Romano at least get a good part of a season to start before they call him a reliever. I think, with some experience, he will be a strong starter. A hard sinker at 93-94, and also a 96 mph four seamer he can use to overpower some hitters. In 2016-17…Lorenzen has 94 total innings with only 9 hrs allowed and 14 doubleplays generated. I watched his 1 inning yesterday several times and he had a pitch to Story that started around the thigh and dropped so much that he could only hit it on the ground. Peraza booted it but of course that’s not the point. He would have the chance to pitch to contact and get outs without running his pitch count up to 20+ every inning by trying to K everyone like most young pitchers. Plus he can really hit!! Its a no-brainer with so many other young kids failing to get it done! A starting pitcher may get 1 or 2 plate appearances a game. The sad true tale of reds SP in 2017. Believe it or not…many pitchers hit 3 times almost every game. Lorenzen could also be the first starting pitcher to hit 6th in the order. Kershaw has the most innings of any NL starter. He’s averaging 2.5 plate appearances per game. Most starters do not pitch as many innings has Kershaw either. We’re talking starting pitchers, not all pitchers. If a starting pitcher is averaging 3 plate appearances per game he has to be pitching over 7 innings every start. Given that he is batting 9th. Other than potential health concerns (which seem a bit out of character for this organization), I can’t see the harm in trying. If he can’t cut it, send him back to the bullpen. Graves never did pitch well out of the pen after failing as a starter. Who knows why though? I think the Reds should give Lorenzen a chance to start. I also think you’re right, and if he can’t start, he’d be fine moving back to the pen. I think the story on Lorenzen from before Spring Training was to get him through a year without any injury. Ditto Iglesias. Price indicated that “someday” he may again start in an interview earlier this season, but 2017 was to be a year in the bullpen. Price and Williams are apparently both on the same page on this, so I don’t think Lorenzen is going to be starter yet this year. I don’t think this is stupid on their part. They see a lot of potential in Lorenzen and want to protect him from injury. You can NEVER have too much pitching, relieving or starting. The Reds actually have had some depth in the bullpen this year, which has allowed them to move some players back and forth from AAA, AA and the Bigs. Herget will likely get a chance to pitch in the Bigs yet this year. He could be a contributor next year. If you recall last year Wily Peralta got some appearances in relief, and most people were un-impressed with him. A little more experience this year, and he is a pretty important piece in the Bull pen. I would also not doubt they will find a way to get Mahle on the 40 man and he gets a chance to pitch this year (maybe in September? ), maybe after Bronson retires. Bronson gets activated sometime in August, pitches a few innings, and retires. Bronson Arroyo night at GABP. Cingrani has always been in Price’s dog house (Dusty seemed to like him), but I think that he could likely get a chance to stretch out and start again. He seems healthy again after a couple seasons of nagging injuries. I’d be shocked if Cingrani ever starts again. He has thrown 92% fastballs this year. Still doesn’t have any semblance of a secondary pitch. Starters typically need three solid pitches to start. He has one. I would glad take a Joe Maddon type solution of Cingrani 3 inning starts and “all hands on deck” as opposed to what the Reds will do….announcing Hunter Greene didn’t sign but they inked Bart Colon to a 1 yr deal for 2018. I realize the Cingrani ship has likely long since sailed, but if someone has proven in the past that they’re capable of doing something effectively, it seems counterproductive to continually ignore them as potential options in favor of unproven options. That said, I’d much rather they give Lorenzen a shot for the reasons you mentioned. A. Wood be released immediately. He’s not part of the future and he’s not good anyway. B. Bringing Mahle up in Sept to pitch to the same AAAA guys he’s facing now defeats the point. B. Bringing Mahle up in Sept to pitch to the same AAAA guys heÃ¢â‚¬â„¢s facing now defeats the point. I disagree on this point. It’s not about just who he’s pitching to, it’s also about letting him get the “jitters” at least a little out of the way. Sure, he might be pitching to a bunch of AAAA guys, but the Reds will also be facing some teams in September still fighting for a playoff spot. Why not let Mahle come up and see what it feels like to pitch in front of the Bleacher Bums at Wrigley or face the Boston Red Sox at GABP? Get those high pressure moments out of the way and behind him now, then next year when the games actually matter, he’ll have the reassurance of knowing he’s already done it and won’t be awestruck pitching in the majors. Look no further than Sal Romano’s first start to see what sort of effect the first start can have on some young guys. But then again, I’m not sure what Mahle pitching in September would do to his service clock, so that’s the only thing I’d really be concerned about. If there’s room on the 40 man (which there may be after trades) and there’s room in the rotation, I would absolutely love to see Mahle in the MLB this September. I see what you’re saying but if he has a good start tonite for Lville, then why not run him out there instead of Adleman? We know what Adleman’s huge limitations are already. Are you really glad we got Arroyo & Wood for 3 months instead of 24 yr old Castillo and 25 yr old Hernandez stuck in AA pitching to kids? Lorenzen was a 2 way player in college and only closed. He had less then 200 ip in the minors and was rushed up at 23. Castillo has 450 ip in the minors. Where is the consistency???? What is their plan??? I’m afraid its going to be official that they don’t know whiskey tango they’re doing in 90+ minutes with HGreene. Agree on Mahle. If he comes up in September, what would his service time be something like 0.17 with 5.83 years before free agency? I would NOT move Raisel Iglesias out of the pen. He has had issues in the past with starting. He is also a shutdown closer. We need someone in that role, when we are close to competing. If Iglesias is moved at all…it’s to Washington for Victor Robles, CF and other considerations. Reds are not competing this year. The next 2 years are also doubtful unless they find starting pitching. Given that, Iglesias is more valuable bringing in Top Talent now, not relieving for a basement dwelling team. I’m with you Fee Lorenzen. He wants to start, Fans want him to start. He looks like he has the pitches, why not try? 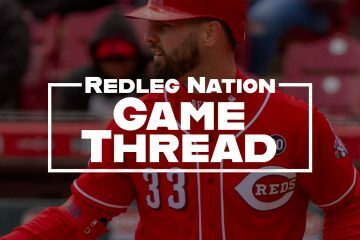 Great article Clay and I am always on board with the young guys getting a chance to pitch.Lorenzen brings nasty stuff and why not stretch him out a bit and turn him loose.He has all the pitches and reminds me of Kevin Brown of the Marlins with that downward movement.What would it hurt? I’ve been comparing Lorenzen to Brown on here since 2015. I saw both of them when they first came up. Hawk Harrelson said Lorenzen reminded him of Greinke (goes tonite). No guarantee that’s he’s not better in the pen but don’t they have to try? I just commented here on Tues/Wed that Lorenzen needs something softer to setup all the hard stuff and then suddenly yesterday he whips out 83 mph slurves that he hasn’t been throwing all year. Certain rare athletes can take something they’re coached on and almost immediately incorporate in the highest level. He’s that kind of athlete. Anyone remember when he pinch-ran in the 9th and scored on a double to beat the Cards in 2015. He can fly!! With the dearth of starting pitching this year, does anyone think the Red’s braintrust might know something about Lorenzen’s ability to start that has precluded Price from using him in the rotation. Could it be his past shoulder issue? See my reply to you above. It wasn’t a shoulder issue, and the Reds apparently aren’t concerned about it. Maybe they believe the stuff doesn’t play well as a starter. Who knows. Hey, I have no problem with the big guy (Lorenzen) starting. Something tells me the Red’s have a concern with his (elbow), but that’s just me. My inner conspiracy theorist thinks that Price — who, as Steve and others have pointed out, is very much a bullpen traditionalist, despite the early season hype to the contrary — wants to win as many games as possible this year in hopes of getting another extension, and he feels more comfortable with Lorenzen in a known bullpen role than an unknown starter role. Of course, there’s a good chance that Lorenzen starting could lead to more Reds victories, but it could certainly backfire and take away one of his preferred bullpen weapons in the process. Obviously, Price isn’t the owner or GM, but if he’s not advocating for Lorenzen to start on a regular basis (or worse, continuing to stubbornly insist to the powers-that-be that Lorenzen remain in a bullpen role during what should clearly be an “all hands on deck” season), it certainly seems less likely that Lorenzen would get such an opportunity. Off topic…I wouldn’t be surprised if Hunter Greene does not sign. Reports…Hunter Greene has signed for $7.23MM. I can get on board with trying out Lorenzen as a starter. I like him where he is but I can see the reasoning behind giving him another shot as a starter. But I just simply can’t get on board with the idea that the Reds will be better off — either now or in the future — by trading Iglesias for someone else’s prospects who might someday be good at the big league level. I generally agreee that relievers are expendable. But Iglesias isn’t Blake Wood. He’s elite. And all the Weiss’s and Herget’s in the system aren’t going to replace what he brings. Multiple innings, high velocity, elite command and control. Y’all have seen him. He isn’t typical in any way. There are very few relievers in baseball as valuable as Iglesias. You can probably count them on one hand. I’m not on board with a perpetual rebuild. The Reds aren’t THAT far off from competing for the Central title. Trading Iglesias would be a huge setback to the goal of winning the division in the immediate future. Don’t do it!! Good post. Anytime we discuss trades and rebuild, we get a wide variety of opinions. And most of them are trade young/hot guys and go sign a free agent ___. And if the team shows glimpses of competing, we expedite the trade talks and immediately abandon the rebuild plan. In the Reds rebuild, certain parts of the plan have been a success (defense, portions of the stating lineup & relief pitching) and other areas struggle (starting pitching & couple young hitters). Long suffering fans in Houston & KC can attest to that fact that it takes time and there’s much second-guessing. My Dad lives in Houston and they’ve waited for their rebuild for 10 years. BTW, much of their 2017 success is around pitching depth, which is invaluable with their 1-3 starters on the DL for much of the year. I think we can agree that one aspect of the rebuild is about sorting. So, regarding the bullpen – which certainly appears to be successful based on 2016 comparison, the sorting has been very successful. Then why remove the bullpen’s most vital contributor? Have we not learned anything from watching Amir Garrett, Cody Reed and Robert Stephenson struggles – minor league guys don’t come in and take over immediately. This list of minor league relievers hasn’t pitched a single inning against ML talent. I personally believe Raesel has the potential to be a Mariano Rivera type closer. Those players do not come around very often – so be careful of what you trade away in your hunger to get “established” starting pitching. I much prefer Clay’s approach (plug the deficiencies from talent within) and I believe the Reds will give Lorenzen a shot as a starter. And look further at the list of potential starters up and down the farm system (with our newly signed #2 pick soon to join the fold!) – it’s a good list filled with talent. I believe we WILL get some of these young arms to develop and contribute – as early as next year. Unlike 2015 and 2016 when the Reds gave Disco and Finny 31 starts they didn’t do that this year.They went with veterans and unknowns and gave a few starts to Rookie and Amir Garrett and then sent them down.Now here we are at the break with roughly 75 games left to go and the rotation appears to be Homer,Feldman,Aldeman,Castillo and Romano.If all get the ball every 5th day then that’s 15 starts max a piece which tell you nothing.If you take some and give them to Reed or Robert or Stephens or etc etc then you find out even less about if they can or not.The Reds blew it and I will assure you they will give up on or trade a guy that will go on to be really good somewhere else.